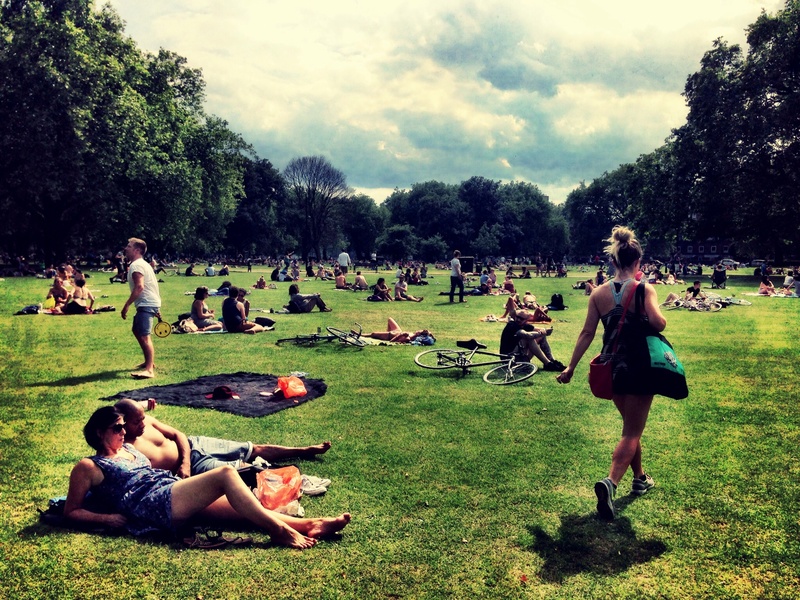 Whenever the sun peeps through the clouds overhead, people begin to spill out onto London Fields: with their bikes, their beer, their barbecues, heading for the lido or taking a moment to sit and rest after a night spent partying. That was me once: staking out my tiny plot of grass, watching as the park filled with a teeming mass of life. I remember hula hooping in the sunset, leaning back on a lion to catch some rays; picking out a picnic in the Saturday market, laughing off a hangover with whoever happened to be passing by that day. It’s hard to imagine any spot in Devon getting quite so crowded. When we first moved out of London I found its emptiness so exhilarating, and the thought of my friends jostling for their space in the sunshine made me feel slightly sad. But there’s no doubting that Hackney is exhilarating too. I love the new world I’ve discovered out of London, but being back there reminds me of a whole other pace of life, one with a richness that it’s hard to capture out in the sticks. This entry was posted in Sophie is photographing, Uncategorized and tagged city, country, Hackney, London Fields, London life on July 2, 2014 by sophieblovett. What a great photo Sophie. It must be funny looking back on those days but how wonderful to be in Devon. It’s a wonderful part of the world and a far cry from London. We lived in London for years and although I’m doing 3 days a week there at the moment, I love being in Surrey. Lovely post, thank you so much for sharing.